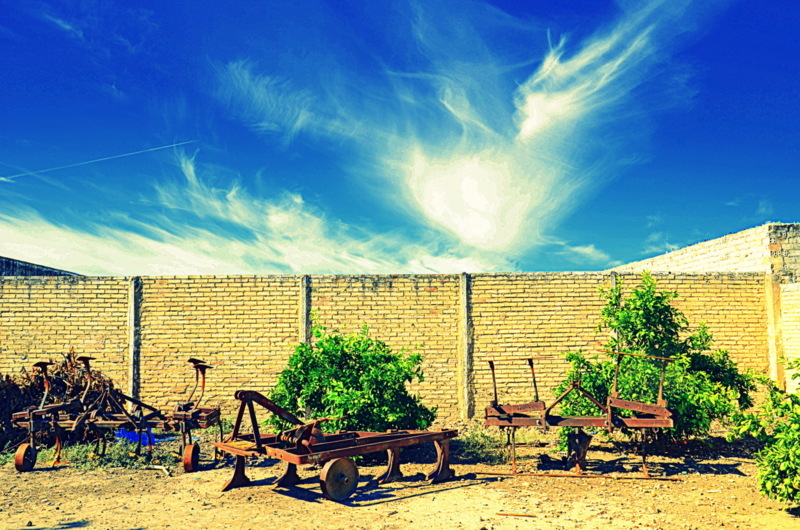 “I could sit here all day, just to stare at this Andalusian sky,” I breathed as we sunk down into the shade, seeking solace from the afternoon heat. My eyes had been glued to the heavens since we arrived two days earlier, when my preferred region seemed to set them on fire, welcoming me back after a long year away. This time I would not be back in Granada, though. 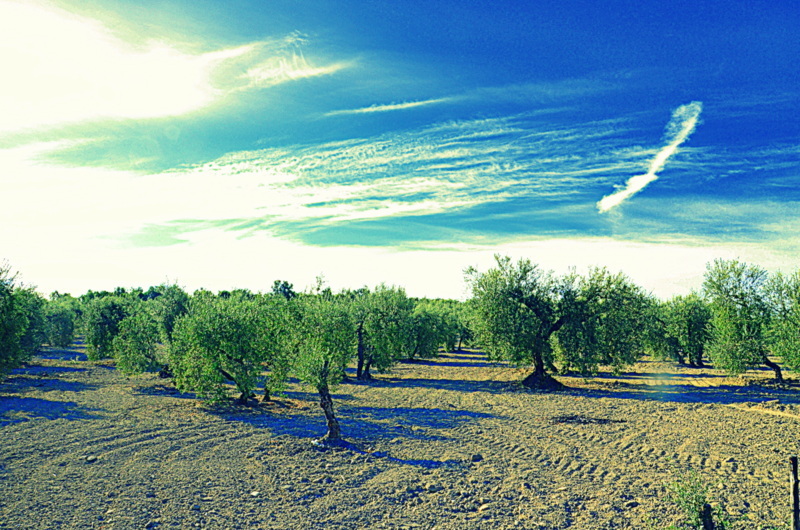 This time, my dreams of Andalucía would come to life in the olive groves of Sevilla. 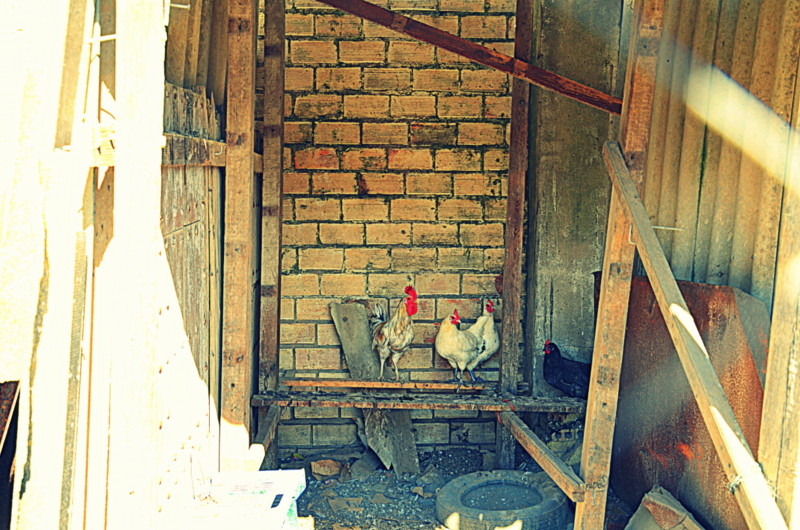 As soon as I arrived in Paradas, I knew I was in trouble. I knew I was going to end up leaving yet another piece of my heart in this sleepy pueblo. The white-washed houses, azulejo tile accents, quiet roads and rolling olive groves are irresistible to this romantic, as anyone who has ever read my blog should know. I spent the weekend here recharging my batteries, surrounded by the most wonderful familia sevillana; doting mother, chattering aunts and olive-farmer grandfathers included. With a belly full of grandma’s croquetas, mama’s patatas con tomate and papa’s Rioja of choice, I felt as home as I could be thousands of miles away from my own family. That’s the thing about the andaluz people; they have a way of warming your soul from the inside out just by being themselves. They care for you and chide you and feed you and love you as if you were their own. This is what I mean when I say that Spain and her people are being incredibly generous to me. I moved back here six weeks ago, and have somehow found myself welcomed into a family. Paradas, Javier’s parents, grandparents, aunts and cousins, and the memories I brought back to Madrid with me will always be so very precious. I hope my photographs and stories can do my time here justice. It’s beginning to feel like fall in Madrid, but summer’s still in full swing down south. The temperatures climbed to the high 80′s this weekend, so short strolls around town were scattered between cool-downs in the garden and fresh juice inside the traditional andalusian patio. 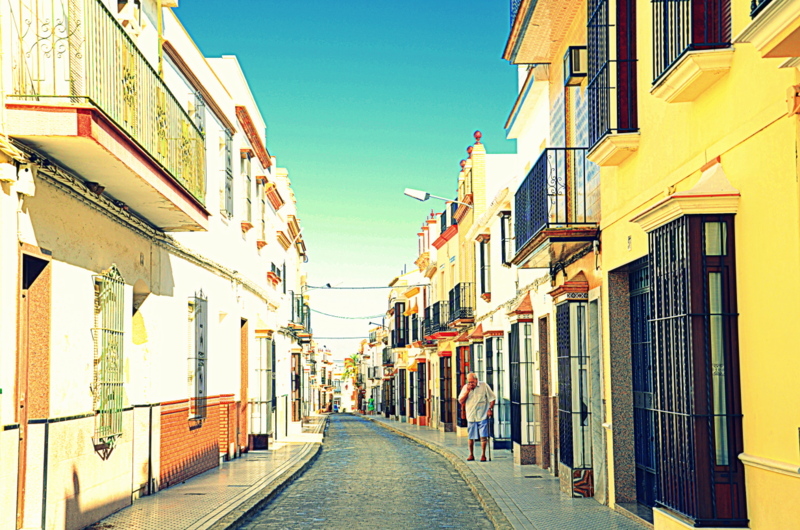 Each time we got our energy up to head back into the heat, we were met with quiet streets. We could walk for blocks without seeing a soul. Every so often, though, we’d come across a group of children giggling in the shade, mom’s watching easily from their perch at the café, or an elderly couple out for a stroll. Each and every person we saw met us with a big smile and blessings; normal for the man at my side whose father grew up here, not so much for this stranger. In New York smiling at a stranger could get you into a good deal of trouble. I think I like the Paradas reaction a bit better. Once the sun went down, people started to trickle out of their homes and into the plazas for beers, plates of shared food, and more beer. By then, we couldn’t walk five feet without being greeted by a relative, childhood friend or waitress with an exceptional memory. Any question I had was readily and happily answered as I learned about the tiles that decorated many homes (influence from the age of Al-andalus, I’m told), which restaurants have the best food, and which are good because they allow the family dog to dine with you. I learned that the town’s intricately beautiful church was largely destroyed during the civil war, though the painting by El Greco inside was salvaged. I learned that the best tortilla de patatas shouldn’t look too pretty, and that you should always, always let a local order for you. We planned our trip very last minute, realizing we could catch the last harvest of the season. 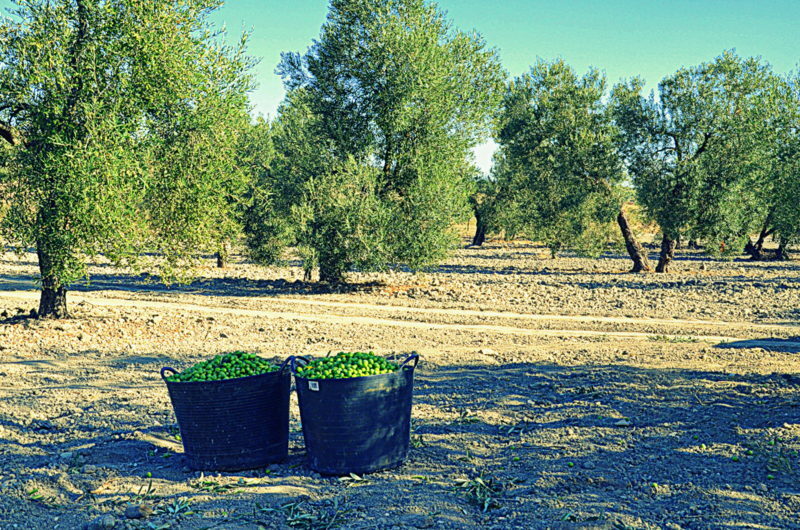 The olives in Sevilla are largely reserved for the table, picked early and by hand so as to avoid over-ripeness and bruising. 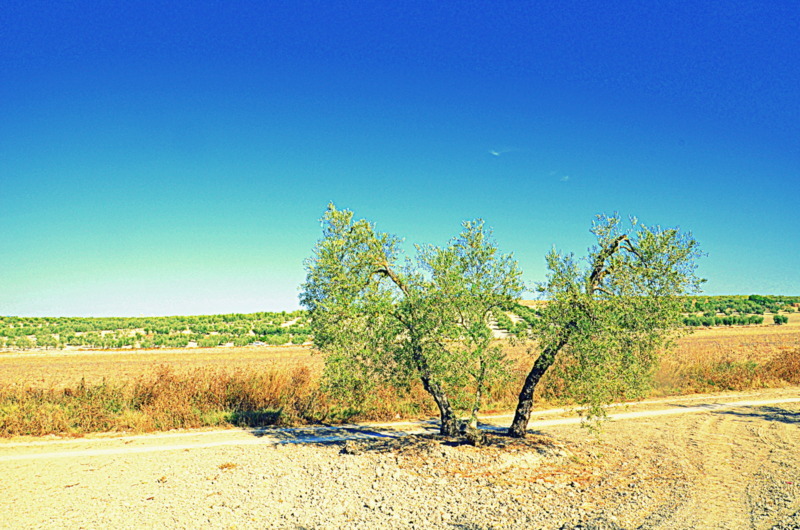 We bounced our way into the olive groves around mid-day in grandpa’s truck, just as the sun was getting hot, to watch the process unfold. I’ve dreamt of exploring these fields since I first read García-Lorca’s poetry, yearning to interpret the metaphors for myself among the trees that spoke to him. My literary pilgrimage ended in awe as I absorbed the vastness and natural beauty of the groves. 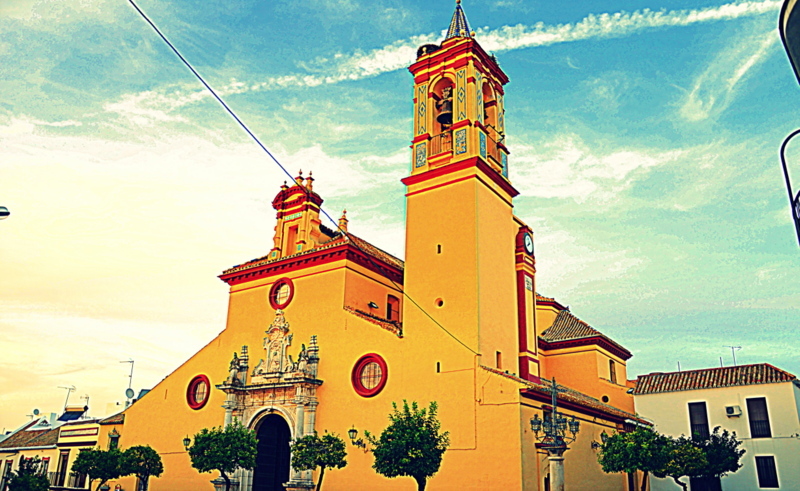 This is the Andalucía, the land of folklore and tradition, that inspired so many artists before me. 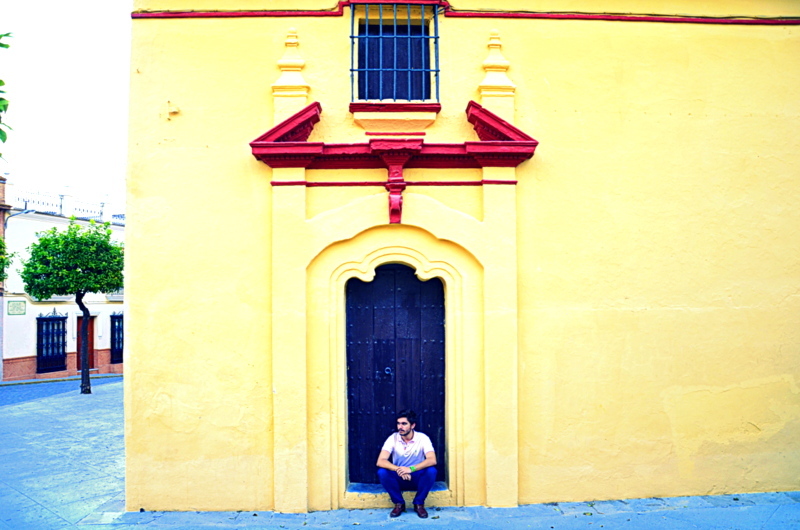 The cities have all the typical charm coupled with the modernity that makes them livable for people like me, but reality lives here in the campilla sevillana. No jaw-dropping architecture or romantic stories of arab kings and queens, just true and simple beauty, true and simple pleasures, true and simple, and wonderful people. The reality is that this land is truly full of folklore, with a great appreciation for cante jondo, Spanish guitar and poetry, but only once the long work day is over. 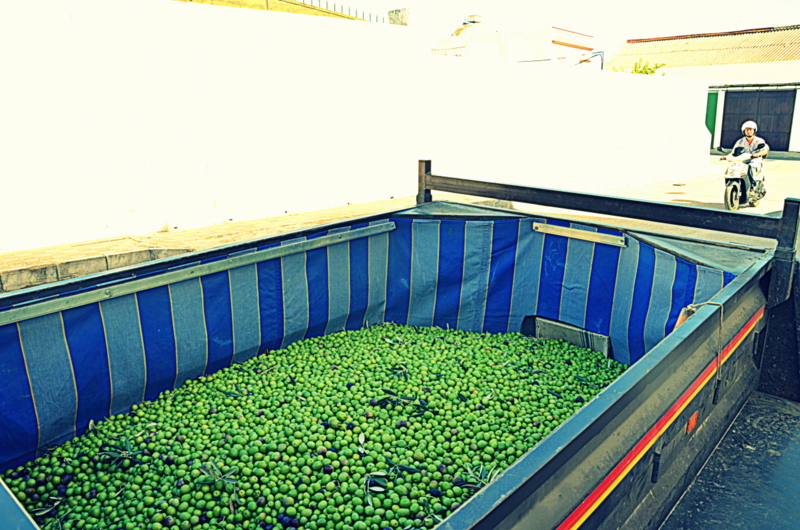 Each and every olive that is placed on your table when you order a beer has been picked by hand, examined for size, shape and ripeness, and dropped into the basket that hangs from the worker’s neck. 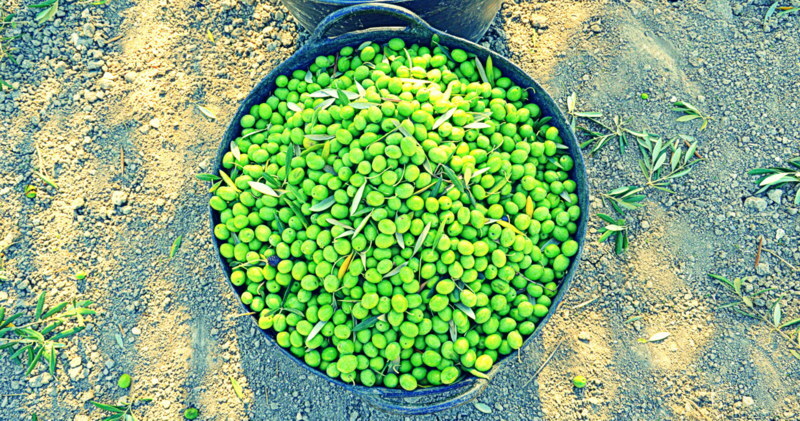 Olives for oil ripen until November and then are shaken from the trees, but table olives take extra care. The men’s gnarled fingers were a testament to that. No one complains, though. In fact, the men were genuinely passionate about their work, chattering away about the different type of olives and how to tell if they’re just right. The weeks of harvest are long and hard, but rewarded on Sundays when wives and children bring picnics to enjoy under the shade of the lush branches; little ones learning how to pick from their fathers, wives fanning themselves and chastising the teenagers who’d rather be at home. 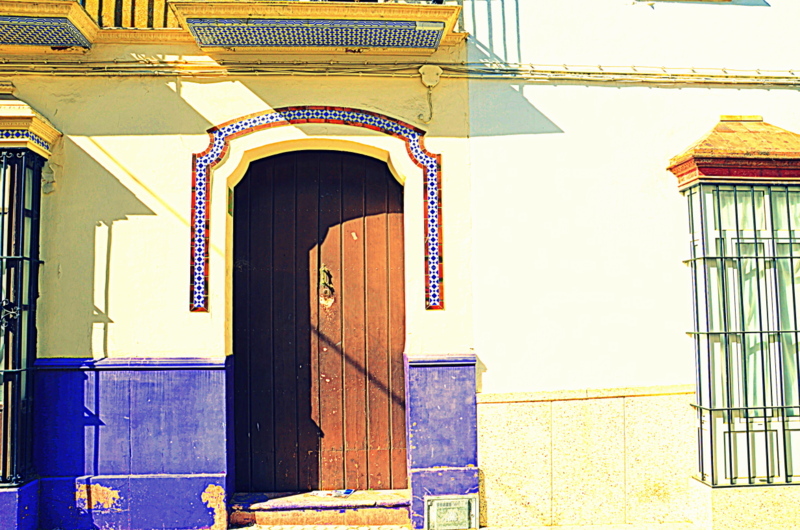 I always fancied Andalucía to be a place of dreams, refusing to believe that it’s anything but paradise. I was surprised I wasn’t disappointed when I found just how real the day-to-day is in the campo, but even more enchanted. The harsh reality of the hands of the grove workers in the context of the Eden-like surroundings seemed like a metaphor for the beauty of life. For positivity in the face of negativity and bad news. As I see it now, it must be in this image that my favorite artists found their inspiration, because my soul was filled with it that afternoon. I am so very content with my life in Madrid and know I’m where I belong in this moment, but I can’t help but dream of a long life under the andalusian sky. “Podría sentarme aquí todo el día, sólo para mirar al cielo andaluz,” I said, and we agreed that one just breathes better down here. 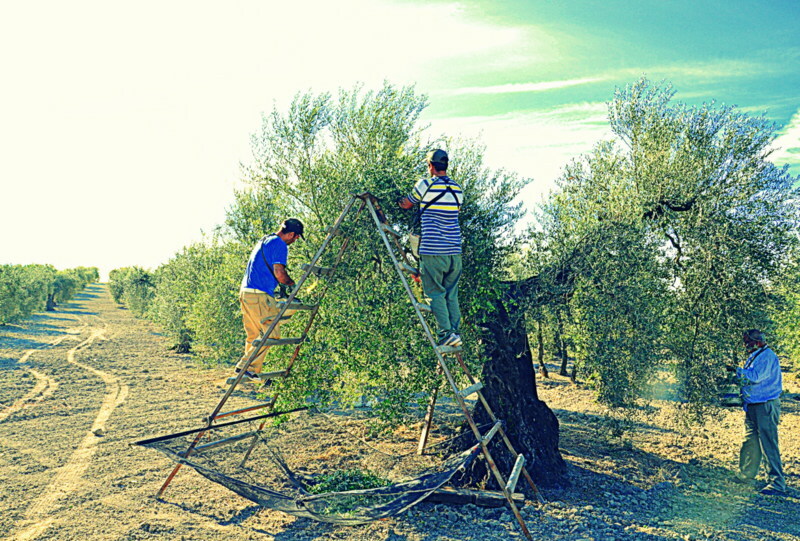 Yes, “se respira mejor,” and all I know is that I want to grow old with the magic of the campo air filling my lungs as I watch the sun fall behind the branches of the farthest olive tree. THIS. WAS. ABSOLUTELY. BEAUTIFUL. i have be resolved to tears so goodbye. Haha Seaaaaaannnyyyy, get ova here please! I happened upon a dog festival in the park the other day. Miracles happen here. gah! this may be a possibility as soon as I start work and can figure out money/time off! Wow. Last year I lived in a pueblo among the olive groves of Jaén province on the other side of the region and now I’m all wistful and nostalgic after reading this beautiful post. I had no idea Sevilla’s olives went mainly for eating; the vast majority of Jaén’s always went towards (really really good) olive oil. But your picture of those bright green guys reminded me of the best marinated olives I ever had. 🙂 I bought a plane ticket to Sevilla yesterday so I’m looking forward to being back in Andalucía, if only for a weekend! Thanks for such kind words, Trevor! 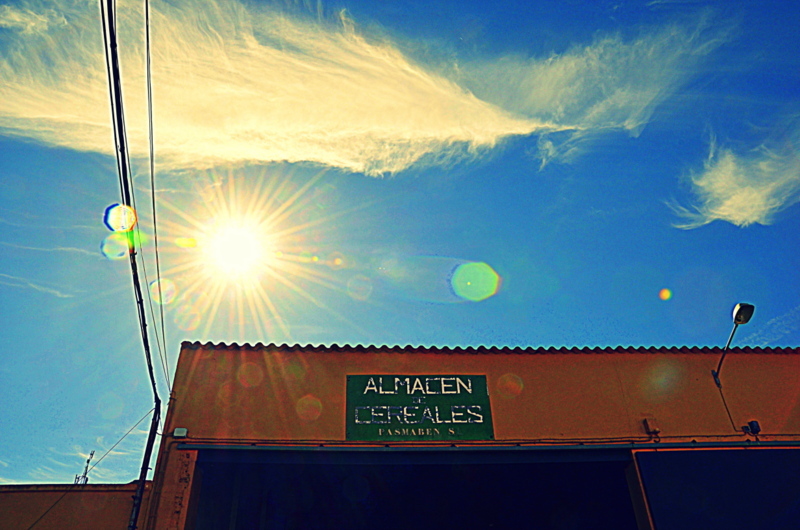 I was repeatedly reminded this weekend that Jaén is theeee place for oil! The sevillanos leave that up to them 🙂 When are you heading to Sevilla? I’ll be there towards the end of October! October 23rd through the 27th! Maybe our paths will cross? They just might! I’m deciding between La Rioja and Sevilla that weekend, I’ll keep you updated! 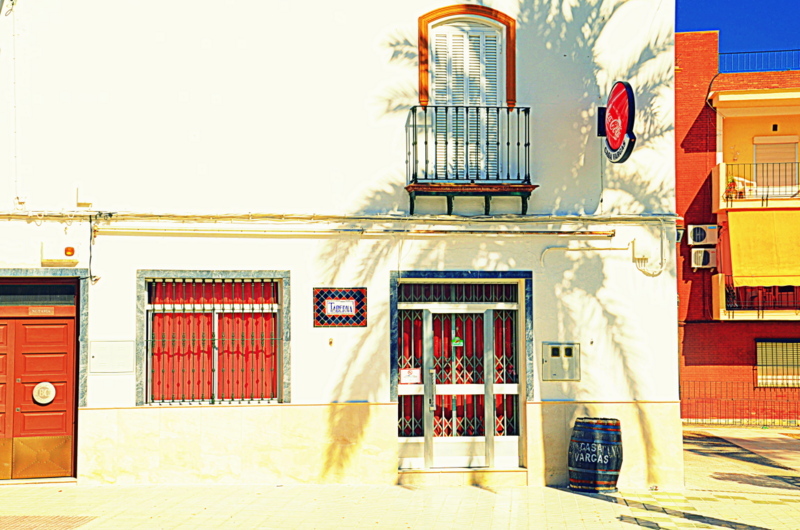 Ahhh, just lovely-I’ll admit at the minute I’m a bit of a townie when it comes to Spain, but I can envisage a time when the campo will call, especially looking at photos like this! You are too sweet! I think everyone reaches a point where dreams of the countryside take over…I’m hoping I can fend them off long enough to enjoy the city life for a while. What a beautiful post. 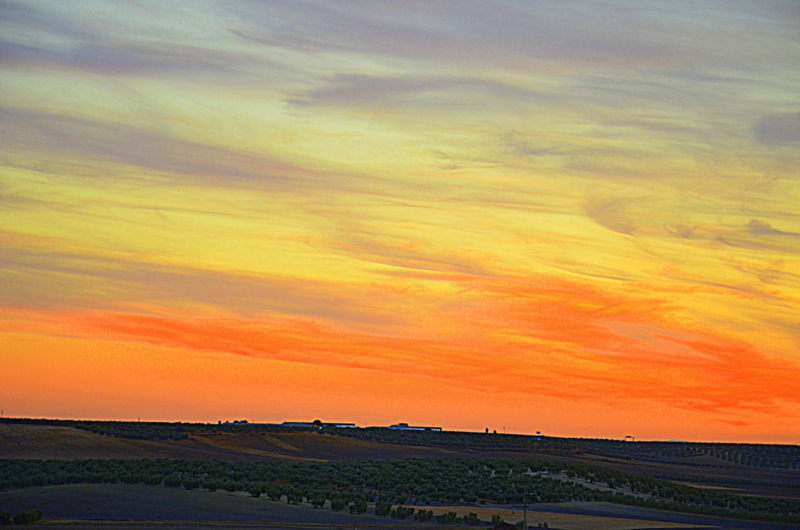 I’m sitting at my desk here in NYC thinking back to my time in Andalucía. I can truly say it was were I really felt at peace, so thank you for bringing me back.